One of the rare earths, neodymium makes a VERY strong magnet. It’s also used in lenses, where it causes a magenta cast. 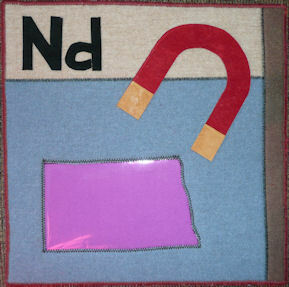 Because of the abbreviation, I couldn’t resist representing the magenta with a map of ND.